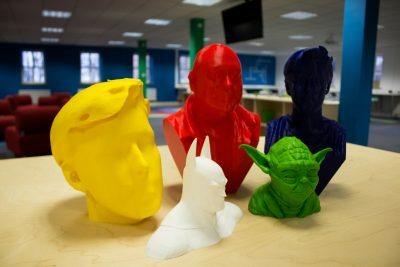 FabLab Sunderland is the North East’s first digital fabrication laboratory. Now based within Hope Street Xchange, FabLab Sunderland is part of a global network of digital fabrication spaces. 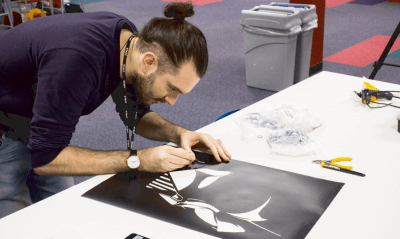 It has a range of equipment available including 3D printers, laser cutters, vinyl cutters and a high specification CNC router and runs a programme of workshops and events throughout the year. The FabLab has a range of equipment available for hourly hire when you become a registered maker and can also offer workshops for schools, community groups and individuals alike. The FabLab can be commissioned to work with your team at all stages of project development, offering a range of services to businesses including consultation, design, prototyping and manufacturing. The FabLab can also provide innovative team-building and away days that incorporate cutting edge digital technology with problem solving. FabLab Sunderland can help you start or expand your business by offering you a platform for problem-solving and ‘out of the box’ thinking. If you would like to know more about FabLab Sunderland, you can head over to their website address below and contact the team to arrange an informative visit.